Hear what Sean and Scott have to say about the title of their book! This is Luna di Formaggio; we just call him Formaggio. It looks like Formaggio has found some cheese on the Moon’s surface. If you were thinking either of these things you are demonstrating one of the main contentions of our book: focusing on the small details detracts from the larger questions. Inevitably some member of Congress will slip an earmark for $200,000 or $500,000 into the Cheese Factories program budget to study and eradicate Moon rodents. The research, no doubt, will be done at some local university in the member’s district. Watchdog groups like Taxpayers for Common Sense or Citizens Against Government Waste will scream bloody murder: “How much to study Moon-mice? !” CAGW might even give the member of Congress one of their “Porker of the Month” awards. The story will draw a chuckle on CNN or FOX news, and prompt public outrage. All of the objections, however, detract from the larger questions. 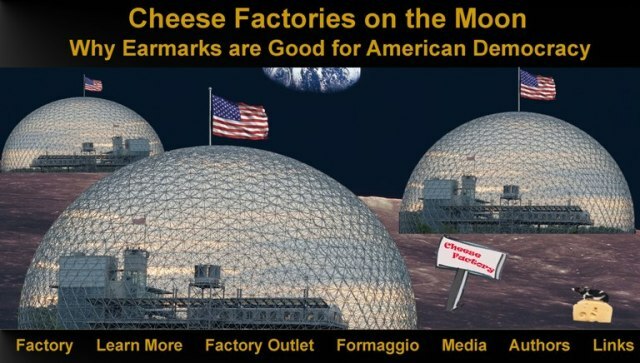 Is this a worthy project, building cheese factories on the Moon? How many billions (trillions?) of dollars did this cost? 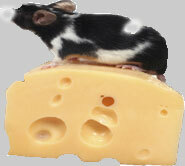 What priorities were ignored to pursue the cheese factories initiative? Obsessive attention to earmarks—small amounts of funding for local and state constituencies—is a failure on the part of watchdog groups and the media. Do not be distracted by the small details. It is important to keep one’s focus on the larger, and more important, issues.